Recently I had the opportunity to travel to India. I was there as part of an initiative to provide eCommerce training to Indian businesses (see ecdemy.com – more on this in a future post), but I was quite surprised to find how much there is to learn from what’s happening in the Indian eCommerce environment. Far from restricting themselves to playing catch-up, Indian e-tailers are pushing the boundaries, breaking eCommerce new ground and trying online business models not yet implemented in the West. Here’s an example. Myntra, the country’s leading fashion e-tailer, announced in March that it would shut down its website and operate purely through its mobile app . By May 15, they had made the change. To my knowledge, no other major e-tailer anywhere has taken that bold step. I found myself asking why Myntra would do this. Was it a cost-saving measure? Wouldn’t this make it harder for online customers to find them? After a little reflection, I have concluded there are very good business reasons for taking this step. Some of them are India-specific, but there are interesting insights for the rest of us as well. 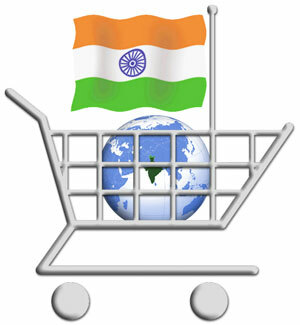 But first it helps to know a little about the Indian eCommerce environment. India has been a laggard in the adoption of eCommerce, held back by a combination of issues related to infrastructure, disposable income and government regulations. However, in the last few years the Indian ecommerce environment has experienced incredible growth, becoming arguably the highest growth ecommerce market on the planet. There are over 300 million Internet users in India and India adds the equivalent of the entire Canadian Internet community every 6 months. Partly due to infrastructure issues, the bulk of growth in Internet access is via smartphones. By 2016 there are expected to be over 200 million smartphones in India, which would make it the second largest smartphone community in the world (after China, ahead of the US). There is also a growing middle class with disposable income, mostly young and net-savvy, who form a natural base of online consumers. Online sales are currently less than 1% of total retail sales (compared to 5 – 10% common in the West), but online sales are growing at 70% per year. In addition to global giants like Amazon and eBay, there is a strong base of domestic eCommerce players like Flipkart, Snapdeal and Myntra (which is owned by Flipkart). The unique social, technological and market conditions, as well as the extremely high growth rate, make India’s ecommerce environment a living laboratory unlike any other on the planet. India’s home-grown ecommerce players, like Flipkart, have been quick to imitate the successful strategies. But they haven’t stopped there. They have often introduced innovations not seen elsewhere. Myntra’s decision is a case-in-point. Can Myntra thrive with just mobile traffic? Over 80% of Myntra’s traffic was already coming from Smartphones, so focusing on this market is a natural, although you might ask if it makes sense to abandon almost 20% of your traffic? I can only assume that Myntra’s internal analysis showed that the proportion of non-mobile customers was small and destined to get smaller. Will customers be able to find Myntra and its products online as easily in an app-only scenario? Google has introduced the ability to include mobile app data in search results, which would allow results from Myntra’s app to show up with other results for relevant searches. Currently Google only indexes Android apps (iOS will follow), but they account for over 90% of the market share in India. This also only applies to searches originating on the Google search engine, but this account for over 97% of searches in India. It is also possible that, as the market leader, Myntra believes that any potential business lost due to not appearing is some searches is outweighed by gains from locking customers into their platform. Enhanced Online Customer Experience: There is a strong argument that apps allow for a better customer experience than mobile websites. This is particularly true in India, where Internet service outages or gaps in coverage can cause connections to be lost. In the mobile app scenario, the customer can continue to use the app when offline and when coverage is restored the app reconnects to the Internet, resulting in less customer frustration. Online Data & Analytics: The biggest win for Myntra may come from the extra user data that they can capture in an app scenario (In this excellent post Avinash Kaushik describes analytics data from mobile apps as “people focused” vs “visit focused” mobile website data). This information can help them understand their customers better, not only as market segments, but as individuals, and allow them to create personalized marketing programs taking advantage of sophisticated, real-time marketing approaches. Although this is a new area, some sources report that mobile shopping apps have conversion rates that are much higher than those of mobile websites. I don’t know how Myntra’s decision will work out for them, but I can see that based on an analysis of their situation and their goals, there is a compelling rationale for their move. In particular, I am impressed by the way that their decision opens the way to make better use of some of the most powerful tools in the eCommerce world, specifically Customer Experience Management, Analytics, Personalization and Conversion Optimization. Can others learn from Myntra’s great experiment? Of course this strategy will be more effective for a large established e-tailer than a smaller, newer player, but all e-tailers can learn more about how to use mobile apps to create a more compelling and higher-converting customer experience. I will be watching with interest as this experiment unfolds and will provide an update in a future post.